Home » content marketing » marketing » social media » Content Marketing Strategy: What kind of content should you create? Content marketing is today an essential weapon in your digital marketing arsenal. 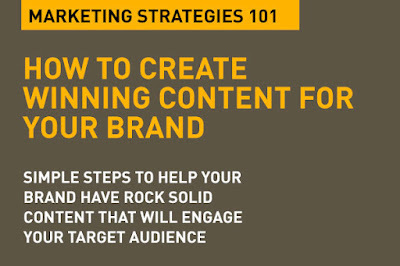 How do you create a winning content plan for your brand? There are so many ways to use content to better market your products and services, to better connect to your target audiences, and engage consumers. But let's look at some of the essential elements, and the types of content that resonates with your target audience and your customers. Start with having a clear content goal. 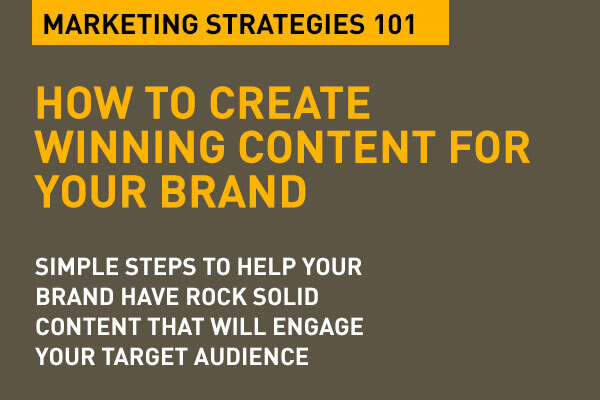 Research your content plan ahead of time to meet these goals. And your content should really be focused on what your customer, your target audience is looking for. You also need to select the right content channels where your audience will best engage with it. And, remember, great content isn't at all about selling, but about an experience. Today, we'll look at the types of content that a brand should focus on. And overall, here's more details on 6 Ways to get your Content Marketing done Right. Content usually responds to a need. Your content should be there as a solution, as a response to that need. Your content needs to be there in our search driven world. Before you set out on developing a content calendar or create a content strategy, you need to have a grasp on what your audience expects from you as a brand. A good content plan is built around the customer, the audience you want to talk to, and getting proper insights about your customer, the consumer, their needs is what should be your first and fundamental step. What Is type of content informs, educates and entertains the audience. It is like an introduction to your brand's products or services – or even the industry. Use this type of content to establish both your position of being the authority (the best there is in that category, for example), and trust. At any level, you must provide value with content, and this is basic value. Often this type of 'What Is' content is aimed at the primary level of audiences across the customer journey. It's called beginner level content. Here you set up a platform for more advanced level content. You set the tone, the groundwork. You can define this type of content by creating material dependent on what's being said in social media, what's being discussed, referenced, asked about. Social listening is key to this type of content. • What is an algorithm? • Where is the nearest hospital in North London? How do I type of content is your next tier of information. Here you are not just providing a context, but you are creating content that delivers a higher level of value. Information here is insight. The level of interest from the audience is higher here, they want to know a bit more. They want to be involved, and be engaged. Create content that answers to this need. Essentially, they want to know about how to use what they are learning from your content. This is also called 'intermediate content' or action driving content. • How do I use simple algorithms for my decision making? • How does a brand use 'newsjacking' in social media? • Who do I need to refer a neurosurgeon? How does my GP decide? • How do you choose a good hospital for your family? • Where do I go to get leather handbags repaired? This is your advanced engagement, deeper insight, higher value content. Usually your audience now sees you as a reliable source of information, a dependable go-to source for content created around the topic that you create content on. Here your audience wants to absorb your content to be good at something, to improve what they've already learnt, and to be the best at what they're doing. Here you partner in that journey by providing deeper insights, facts, figures, tips, and hold their hands through their journey. From a business perspective, if you create content in this area, and have unique resolutions to their needs that only your brand or product can offer, you're on a win-win. When you start planning your content strategy, make sure that you deliver across all three of the above, otherwise your audience narrows down. The three buckets mentioned take you from setting a context for the beginner level all the way to completion and achievement for the highest level of the content hungry audience. Remember, content in any of the above buckets can be via a blog post, a video you create for your brand YouTube channel, a simple Facebook post, or even a tweet. No matter which platform you chose to create your content for, remember the context of it. Content for Facebook is very different from content for Instagram. A blog needs carefully crafted writing skills. A video has to be quality – both from a content and a format (quality of the resolution, delivery etc) point of view. That's the basics of what types of content you should create. That's Digital Marketing Strategies 101. This is a great inspirational post on the different types of content someone can create. Thank you. Nice post Tom. Concerning the basic strategy you should apply on your content marketing this hits the nails on the head. Brilliant article, and one that clearly provides good examples as well.